The Scion codex has released to much fanfare (I refuse to call it by its Latin name as I don’t speak Latin and as such have issues pronouncing it). Imperial Guard players seem to like it, but I don’t. The scion squads look nice, the taurox looks like the boxiest box that ever drove out of the box factory, and that’s about it model wise. The entire release is 2 kits and 77 (NZD) dollar codex. Really just a entrée before the main meal of the new IG book. So what is my issue with the entrée? 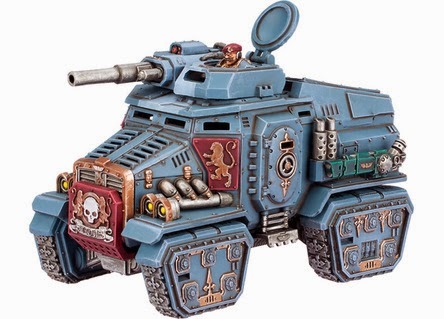 My issue is that I see this as a money grab, it’s a 40k army with 2 HQ choices, 1 troops choice and 2 fast attack options (40k players feel free to correct me if I am wrong). It needs allies to function as a army which means you need to have 2 army books and 2 armies just to make it work. Also there is a typo, not a lore typo or flavour text typo but a rules typo. Apparently in the wargear section of the rules the Hotshot lasgun has gets hot, yet in the reference it isn’t. Now which one is it? Scions players will now have weeks, maybe even months of confusion before GW releases a FAQ to correct a mistake that shouldn’t have been in the book to begin with. I will say that the actual scion models look nice (But I won’t be buying 5 of them for 50 odd dollars) and that’s all the positive things I can say about the scions. I will say that the new Imperial Guard (because that’s what they are called) book looks good, and the new models also look good, so at least the main course of the IG release will be worth the wait. My issue with the scions codex is part of my larger issue with the supplements and dataslates that have been spewing forth for 40k for a while now. The problem is that when you buy a 40k army (unless you buy space wolves, blood angles, necrons, orks or dark elder) you don’t get all the rules for you army with your 98 (NZD, for some reason GW products are more expensive in NZ than in the UK or US) hard cover full colour codex. Gone are the days of buying one rule book and one army book and being done with buying rules until a new edition. Now you have pay extra for your army’s complete rule set, and I think that’s wrong and greedy. Now why do I say it’s wrong? Surly there is no moral or ethical reason why it is wrong. And your right, there is no moral or ethical reason why it’s wrong, GW can charge however much it want for its products and be ethnical justified. I say it’s wrong because it’s over charging for products that used to be 50% cheaper. Back in 4th ed 40k/6th ed fantasy GW charged 45 dollars for army books (with ALL the rules in them) and it wasn’t like they were struggling, or losing money. We have seen that they can sell army books for 45 dollars and not go bankrupt so why raise the prices? Because the books are in full colour/hard back? A upgrade no one asked for or needed. Keep in mind GW prints its books in china so I doubt that it costs anywhere near 95 NZD for a hard cover full colour book to be printed in china. To sum up supplements and dataslates leave me with a bad taste in my mouth. If they were say 30 to 40 odd dollars then i wouldn't have an issue with them, but they aren't, they are 98 dollars for which you get a optional upgrade to a existing army, a money grab plain and simple. So there you go, my monthly GW rant. You will probably see my positively towards GW in may and late April as the Wood Elves are coming, so expect gushing reviews and endless praise during that time. Until next time. Main rules always applies over Reference section. Its not the first time this has happened, I recall it being an issue in the Fantasy 8th RB with some things. The fact there are typos at all is a issue, GW should be reading and re-reading all its rules before release to ensure as little confusion as possible.